Houses in Motion is a Brooklyn based creative studio specialized in visual storytelling through design, animation, and live-action productions. We are quirky and nimble arbiters of taste. We find solutions that inspire, inform and entertain. While we excel in many areas, our favorite approach is to push beyond one expected technique and work in a variety of mediums to create something truly unique. Animation, Compositing, Visual Effects, Design, Direction, Live-Action, for the Broadcast, Commercial, Social Media, and Electronic Signage markets. Simply put, we create content for any and all screens. A boutique by design, we’re dedicated to delivering powerful visual stories by working directly with Agencies, Brands, & Broadcasters in a seamless and enjoyable environment. 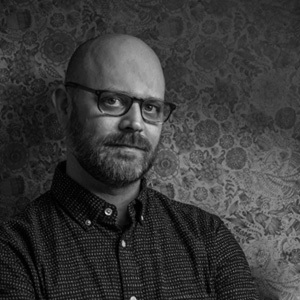 John has been a leader in NYC’s design & animation scene for over a decade. His experience in the broadcast and commercial industries has provided the skills to guide any project from concept through delivery. Animation and Visual Effects are at the core of his process, reinforced by his technical prowess and capacity to see beyond the brief. At Houses in Motion, he takes on roles of Director, Designer, TD, Animator, & Compositor, just to name a few. John is well regarded for communicating complex ideas clearly, to both collaborators and the team at Houses, elevating all productions within.